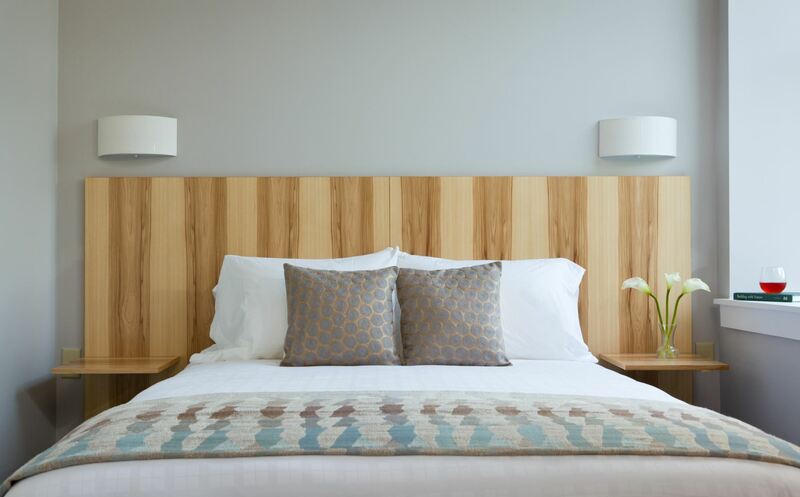 The medium sized rooms are more spacious for relaxing and include a comfortable chair with the queen sized platform bed being the focal point of each room. There is a desk in some but not all of the rooms. 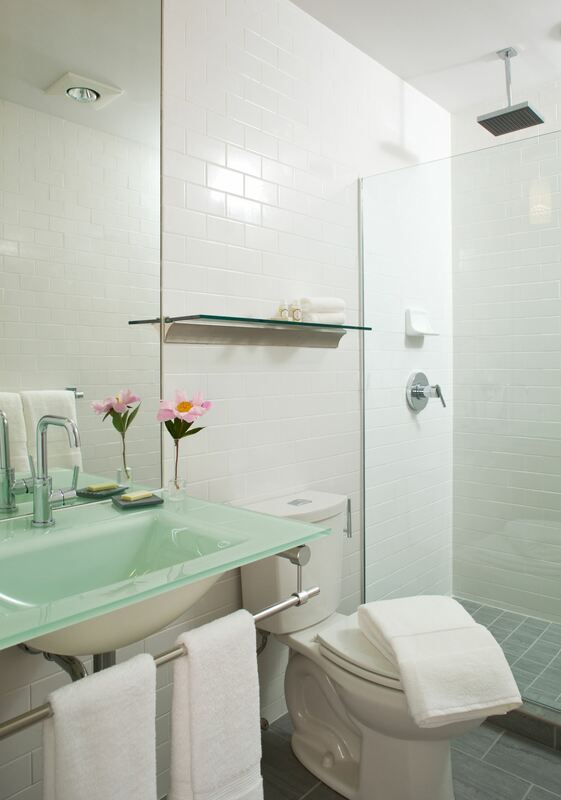 The bathroom is complete with energy and water efficient rain shower and glass bowl sink.